Welcome to The Carpet Fair... flooring you since 1954! 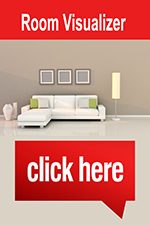 Home Legend provides quality flooring and interior décor products at affordable prices. With over 60 years of experience in the flooring industry, Home Legend understands how to provide you with value-added products to enhance not only the beauty, but the value of your home. Our global sourcing and marketing experience provides cutting edge fashions in hardwood, laminate, area rugs, and other interior décor items. In addition, we have aligned with Disney and Wyland Galleries to offer a variety of quality constructions and designs to fulfill your child’s dreams and your “Home Away from Home” interior designs.